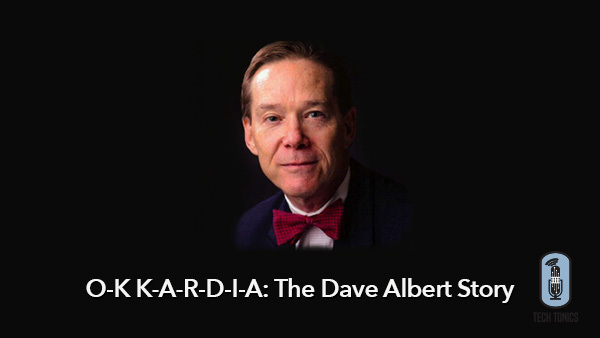 Although his dad was a prominent politician who eventually became Speaker of the House, AliveCor Founder Dave Albert always knew he wanted to a career in medicine – it was the passion he discovered for engineering and entrepreneurship that took him, and his career, by surprise. While Dave chose a very different path than his father Carl, their paths crossed when Dave was in medical school, and his father suffered a heart attack; during his recovery, he was told to walk until his heart rate hit 120 bpm. Dave figured this should be easy to measure, yet when a colleague’s effort fell profoundly short, Dave decided he wanted to be able to figure out these sorts of problems for himself, and took a three year detour into engineering. While he finished medical school and part of an internal medicine residency, the draw of medical devices, and entrepreneurship couldn’t be contained. It lead to the founding of several companies, including most recently, AliveCor, which uses the iPhone to enable individuals to record EKG rhythm strips in an FDA-approved fashion, mediated through an app called Kardia. We’re delighted to welcome Dave to TechTonics today, and learn how this Oklahoma native has taken Silicon Valley by storm. Today’s show is sponsored by DNAnexus, the secure and compliant cloud platform that enables enterprise users to analyze, collaborate around, and integrate massive amounts of genetic and other health data.